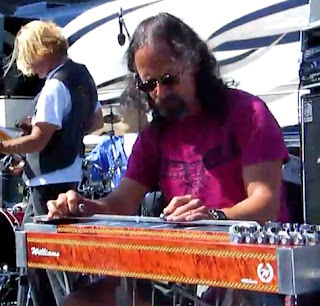 Virtuoso pedal steel isn't featured in many rock bands, but then there aren't many steel players like Barry Sless. None actually. Moonalice is the perfect vehicle for this monster player. Their organic arrangements leave plenty of space for extended steel rides, to the delight of jam-band fans everywhere. To learn more about the band, visit www.moonalice.com. Nice post! This band is one to put on your must see list!